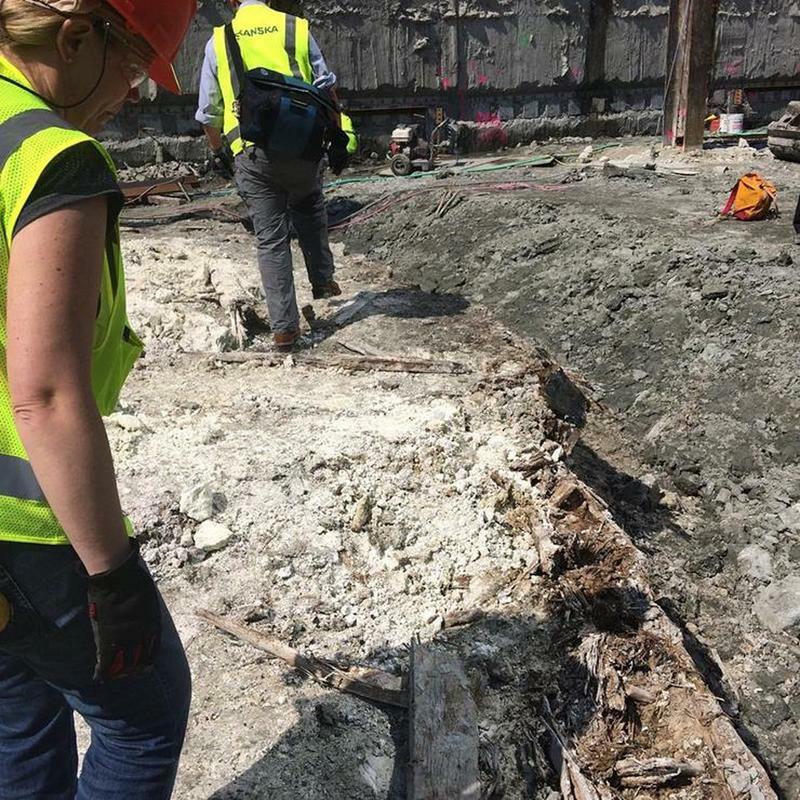 In May of 2016, a Boston building site transpired to a dramatic standstill when construction workers discovered something amazing --- an artifact so stunning and unique, that brought the city some excitement. Incredibly, billions of dollars have been invested towards this thriving waterfront area at Boston's Seaport District. The surprise revealed here during new renovations was indeed priceless. 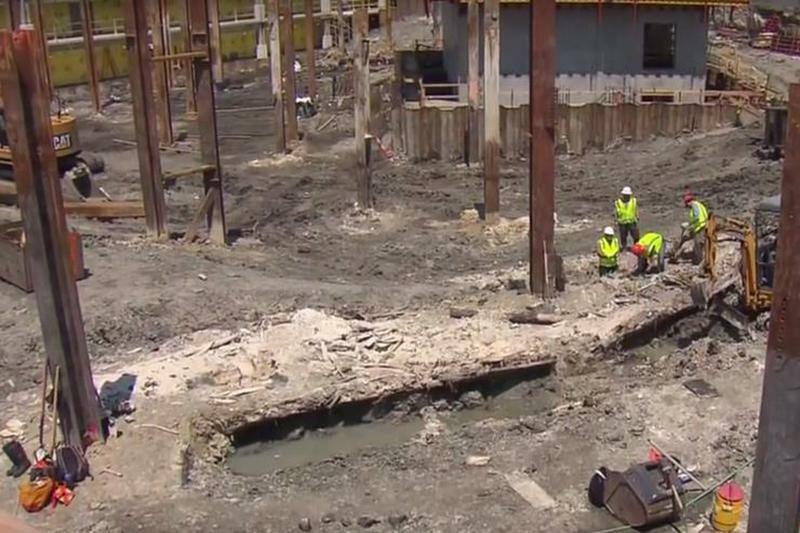 How come such historical artifact found its way underneath this building project? 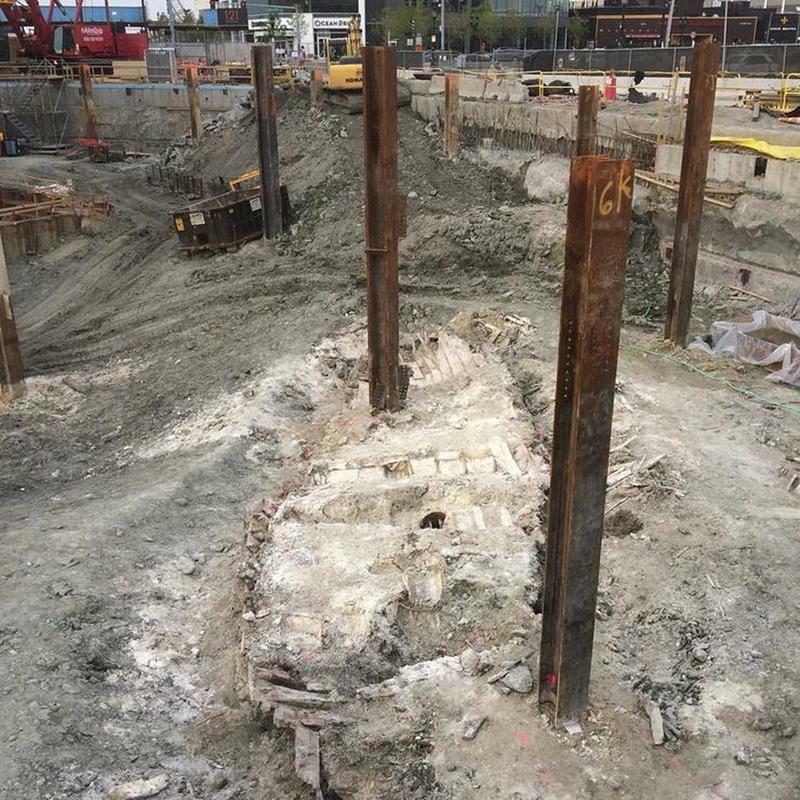 The amazing discovery brought the Seaport District of Boston alight with excitement. 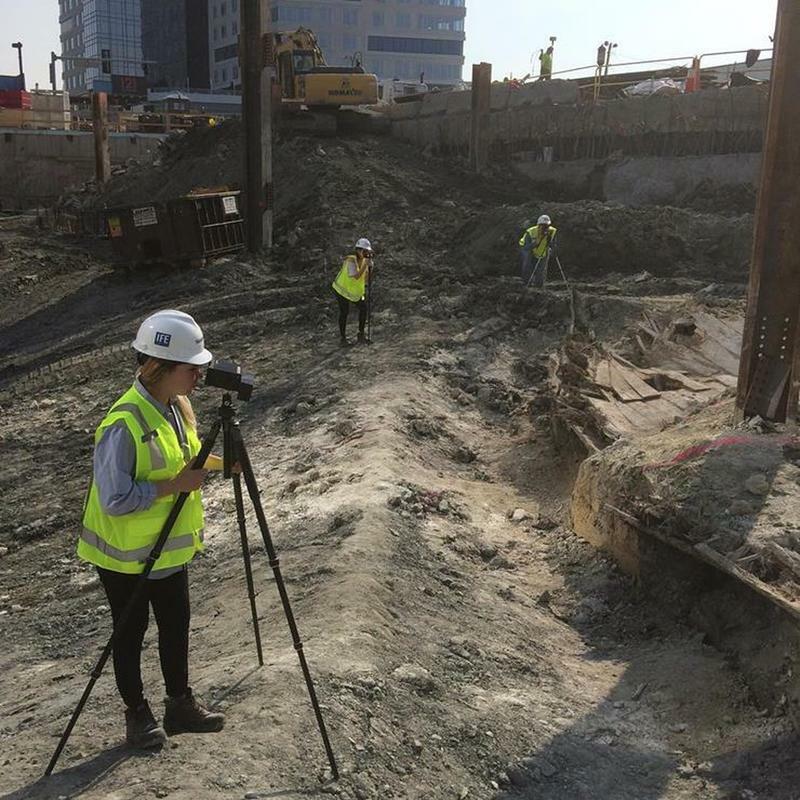 Skanska, the name of the company hired for the construction, was to build an astonishing 17-story office building with about 400,000-square feet of space which is walking distance to the piers lining the Seaport District. It was among the latest of their several contributions to the New England architectural landscape. 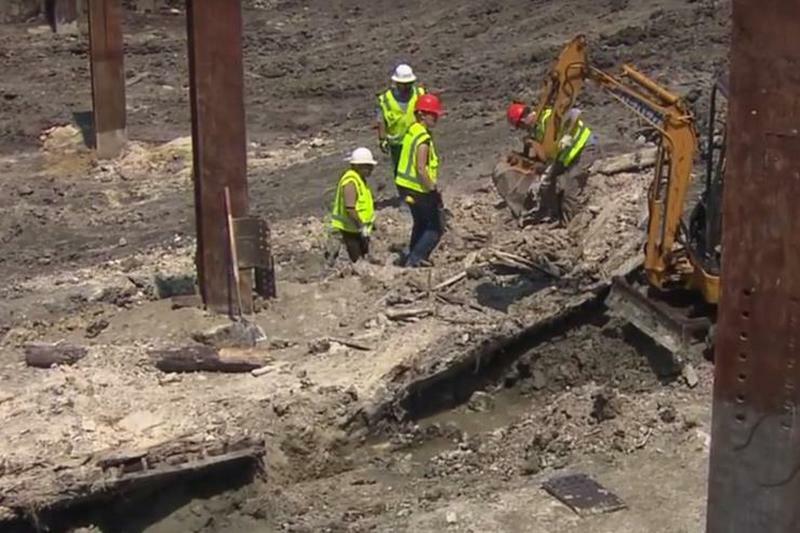 Indeed, there are national and state preservation laws, however the company was not obligated by law to halt construction when it stumbled upon this significant find. But they did. 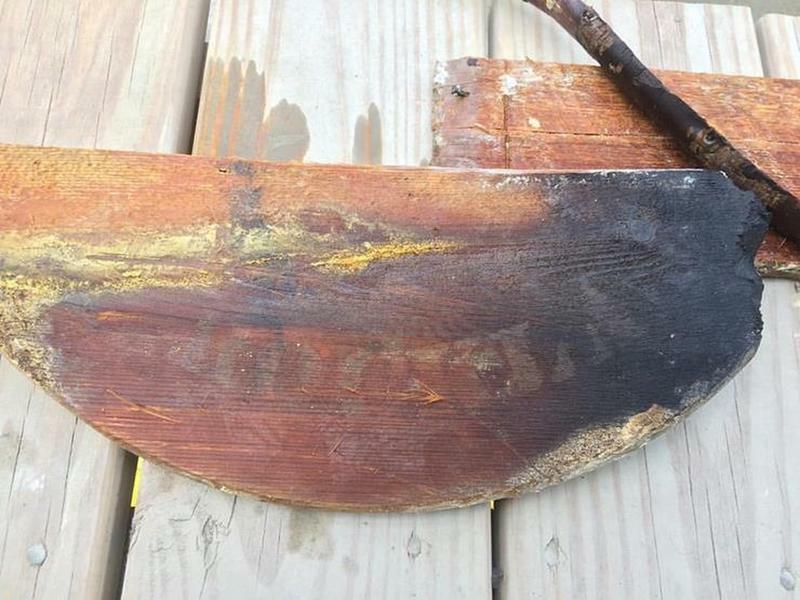 It’s not every day that you chance a discovery of a shipwreck from the 19th century. And so work was halted for a week. 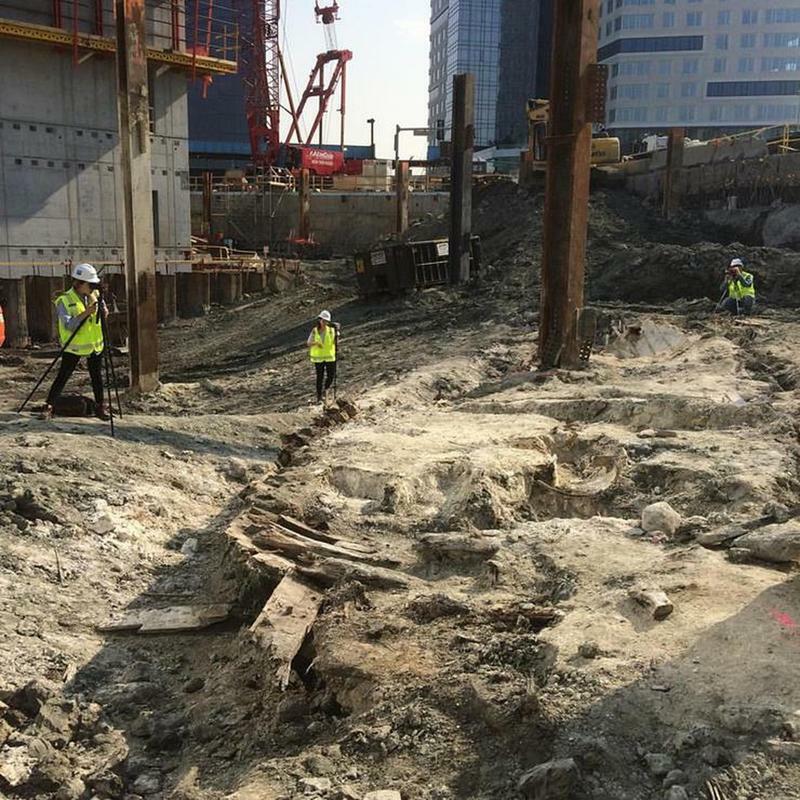 Shawn Hurley said, “You certainly come across a lot of interesting things when you do below-grade excavation, but I’ve never seen anything like this in my career,” a Skanska executive, told WBZ-TV. It was so rare and fascinating that unraveling its mysteries would require expert assistance to know how it got there. With more revelation, they realized that some of the remains from the ship were far too delicate to move. 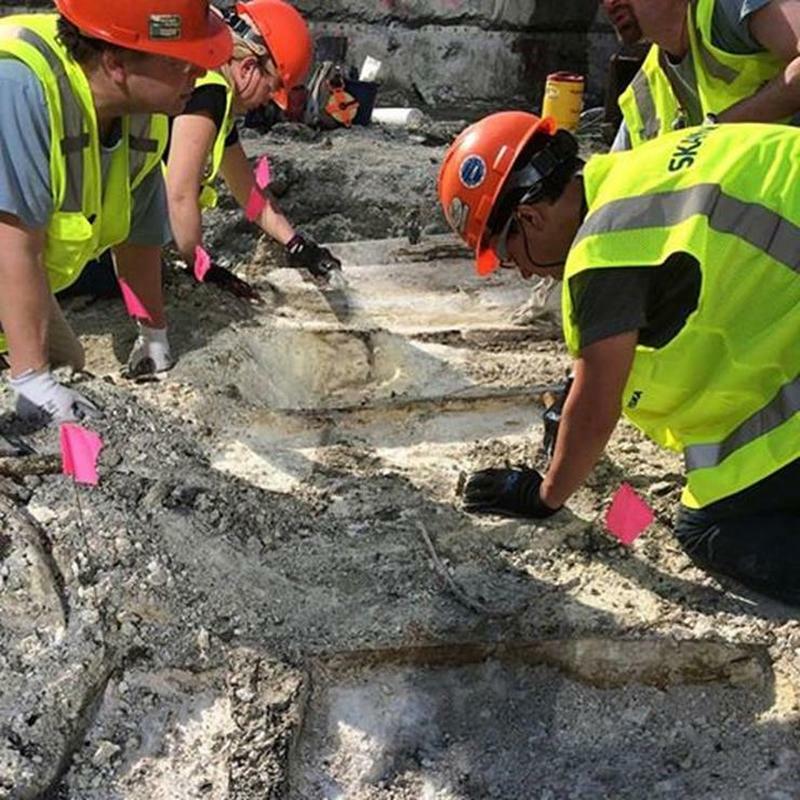 Racing against the clock, the archaeologists worked to learn everything they could about the discovery before construction was scheduled to resume the following week. The archaeologists took this opportunity to carefully document the 50-foot long vessel with stereoscopic cameras. 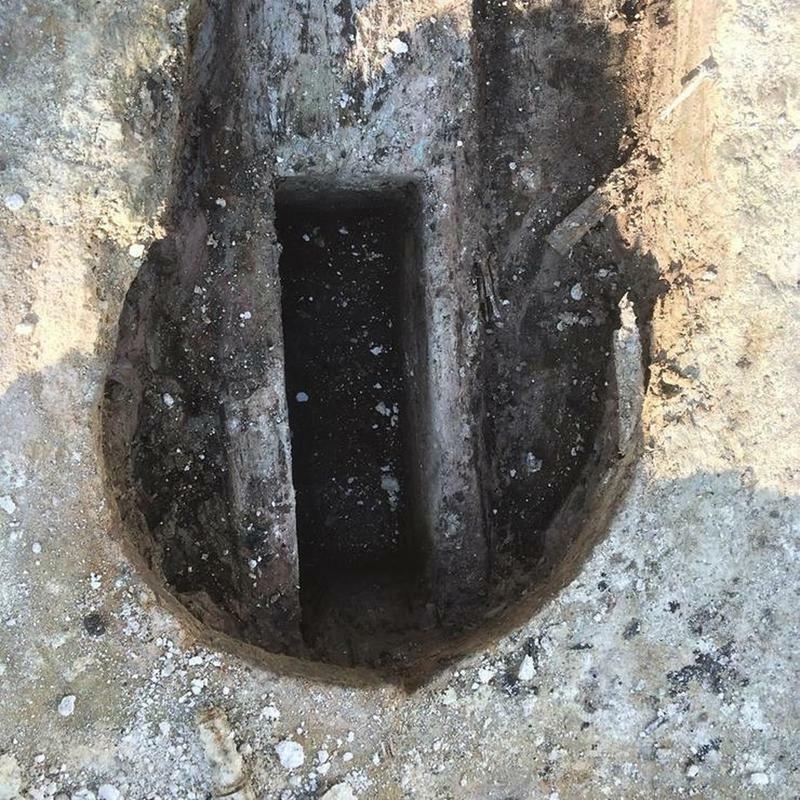 They dug trenches around its exterior, mapped the interior planks as well; they even uncovered the bow, the inner and outer hull, and also the mast step. Gradually and piece-by-piece, they were able to fit this ancient puzzle together. 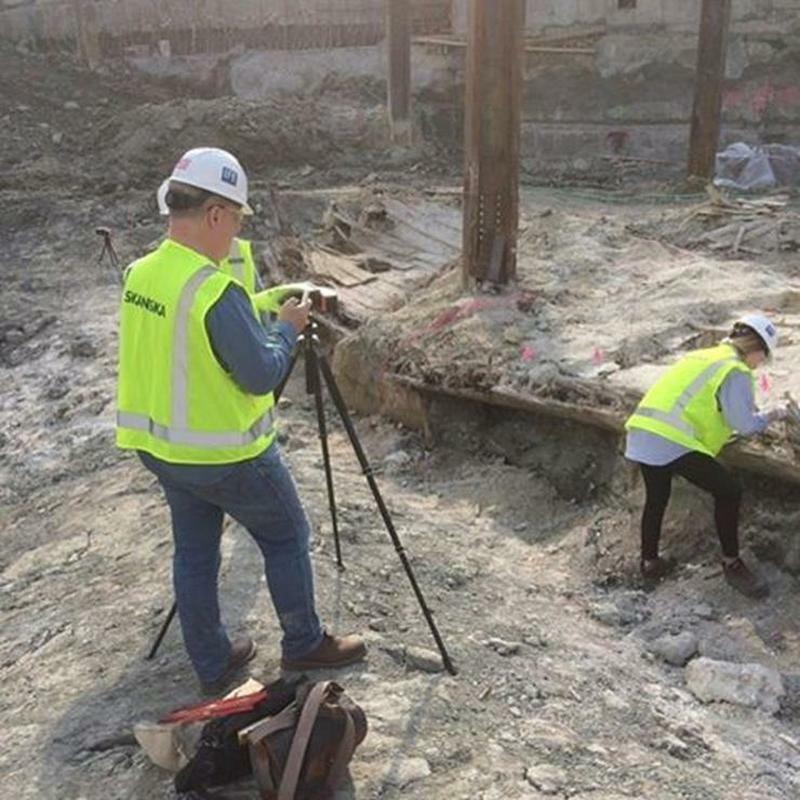 Due to the limited time of opportunity, a team of experts from the Cambridge’s Institute of Digital Archaeology took off early and flew back from the Venice Biennial Exhibition to create a 3D scan of the wreck. The team of archeologists is very experienced with documenting and restoring archaeological wonders, including those artifacts the ISIS destroyed in the Middle East. The completed 3D image will become a permanent record of the ship once Skanska is done with its construction. 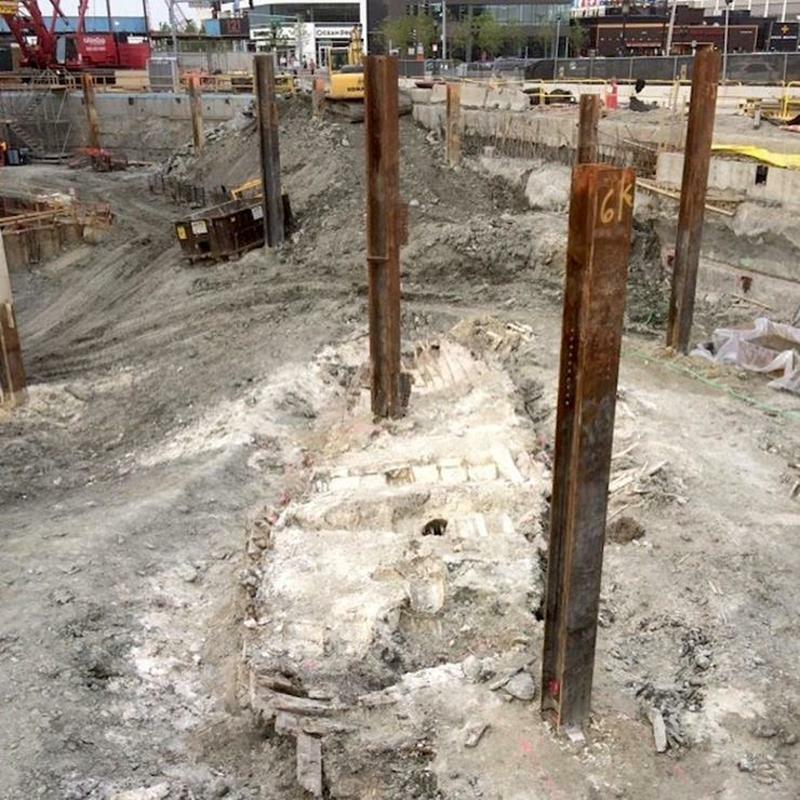 The image, together with the artifacts and the remains of the ship the archaeologists could successfully salvage in time, will most likely be among the public display when the new building is opened. The initial investigations revealed that the top of the ship had been lost in a fire and only the bottom part survived. 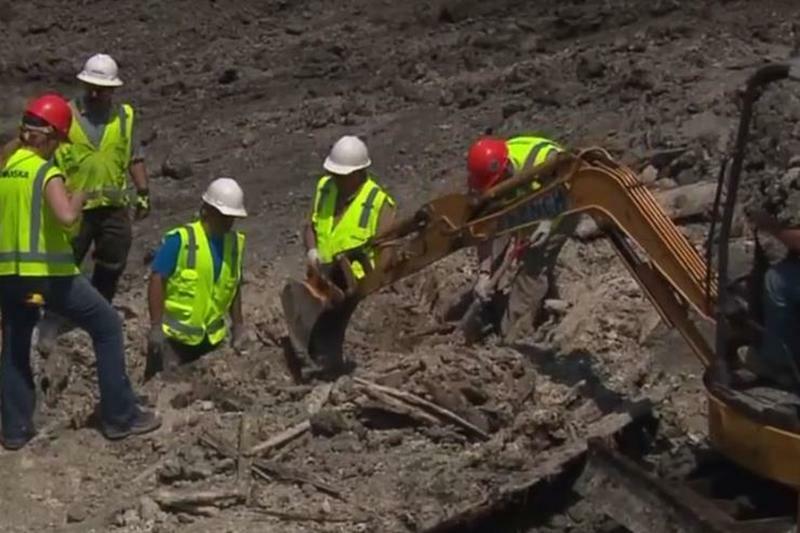 The archaeological team still managed to retrieve many intriguing artifacts including damaged ceramic vessels, cutlery, and also burned dishes and building materials. 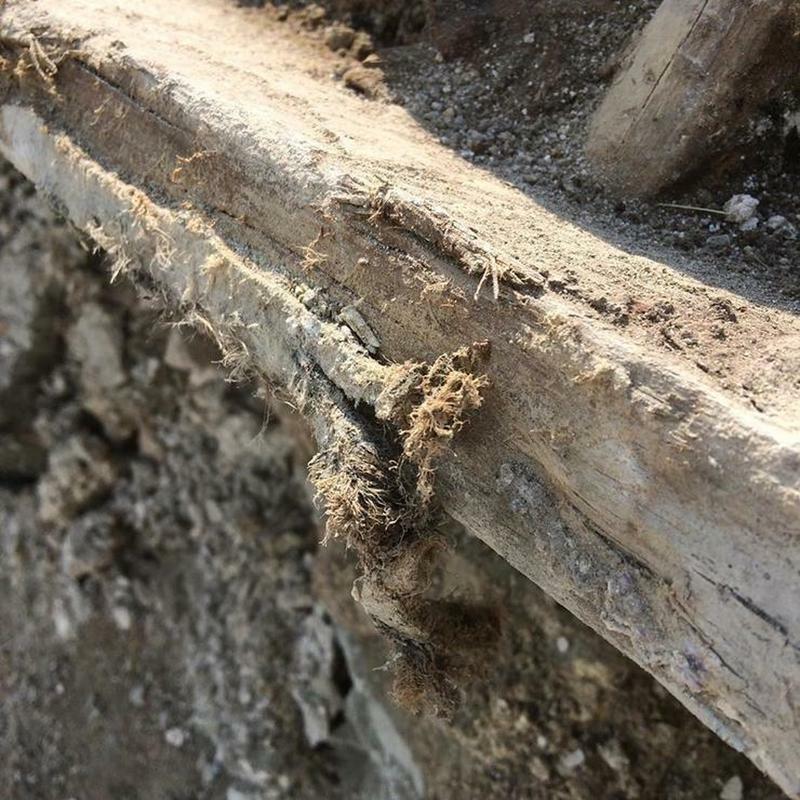 Discovery of loose nails helped the archaeologists put a date on the ship. “It looks like it’s a mid to late 19th-century sloop,” Bagley suggested to The Guardian. But these questions remain. What was the ship’s purpose? And how on earth did it end up buried in Boston? The first significant clue was abandoned cargo found on the ship --- barrels of lime. Since the Roman era, lime has been used to mix concrete materials. Then in the 19th century, it was used in the manufacturing of paper as well. ‘Rockland’ is marked on a barrel lid which gave them a hint that the vessel may have sailed from Rockland, Maine; which was a home to the thriving lime industry back then. These were possibly meant to be used in Boston’s 19th-century construction boom. But, as fate would have it, never quite made it to shore. 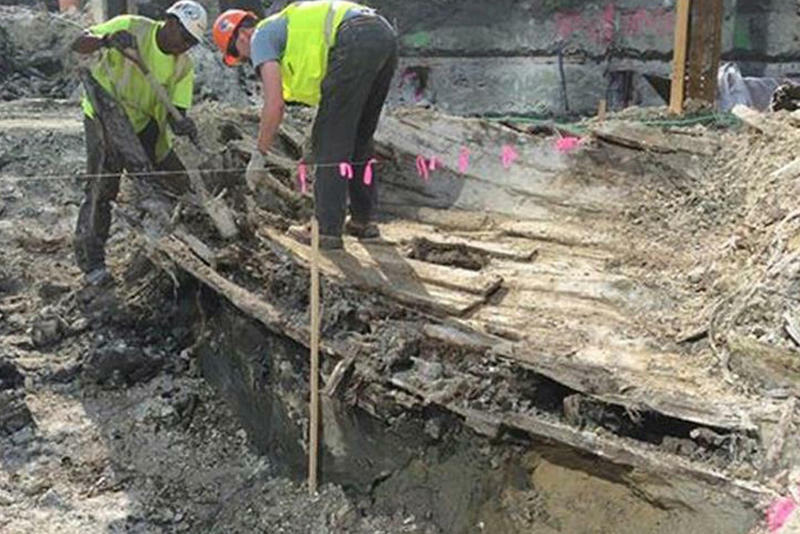 The ship was found in Boston Harbor’s mudflats, also known as the Dorchester Flats. Back then, during the 1880s, the area was a landfill. 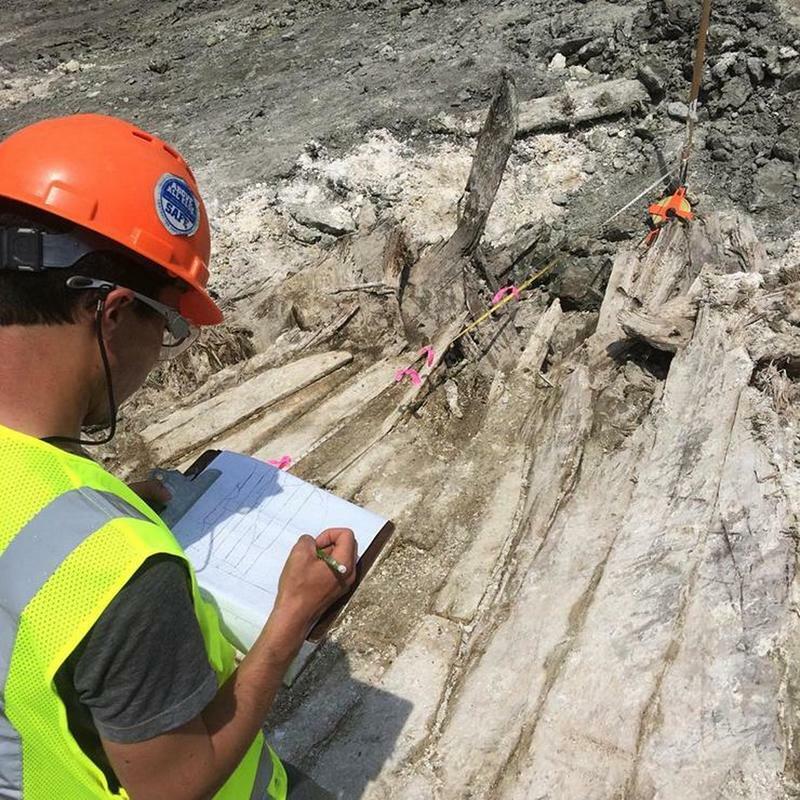 Thus, explaining why the ship was discovered on a land just a quarter of a mile from the water’s edge. 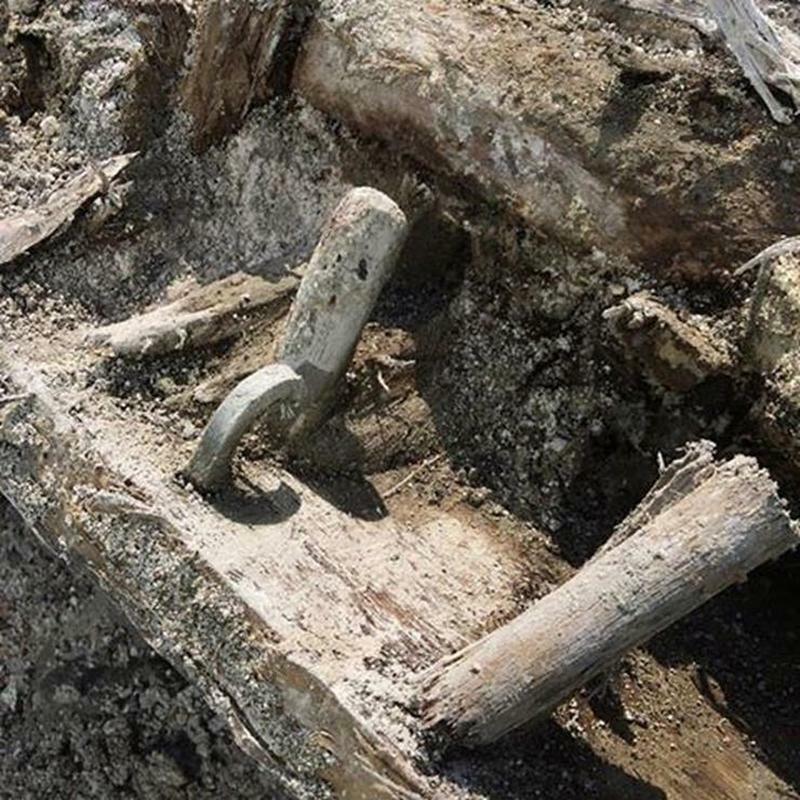 Archeologists drew a conclusion, that the ship caught fire when its cargo of lime mixed with water which produced highly flammable acetylene, and destroyed the vessel. It’s still unknown if the ship was run aground when it occurred or whether it crashed towards the flats by accident. 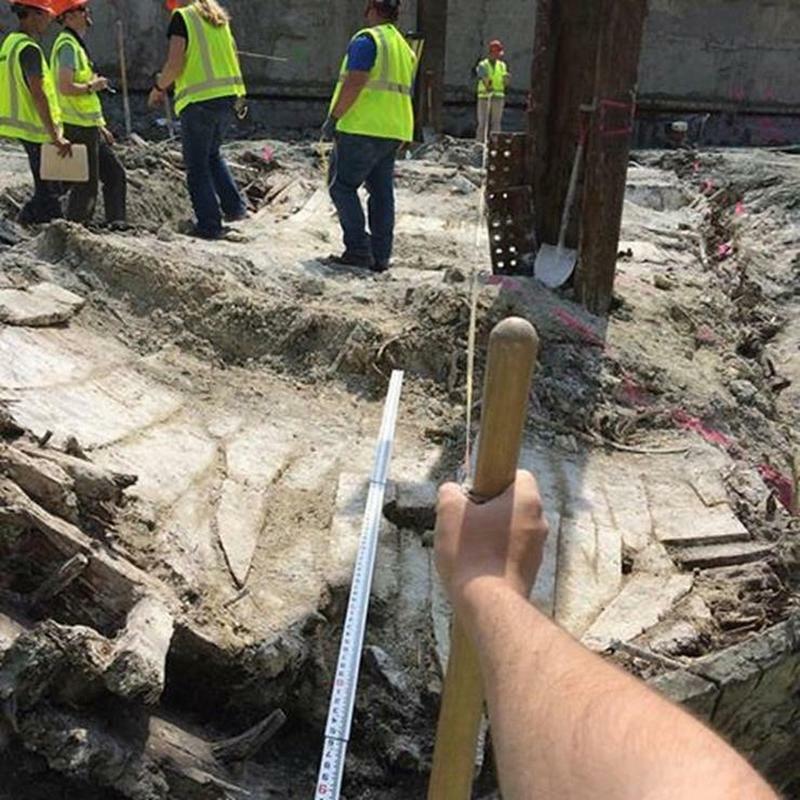 Although a coincidental link, Joe Bagley pointed out the connection of the ship carrying building materials then and being found more than a century later on a Boston building site now. “They’re really part of the same narrative of Boston growing as a city,” he told the The Associated Press. 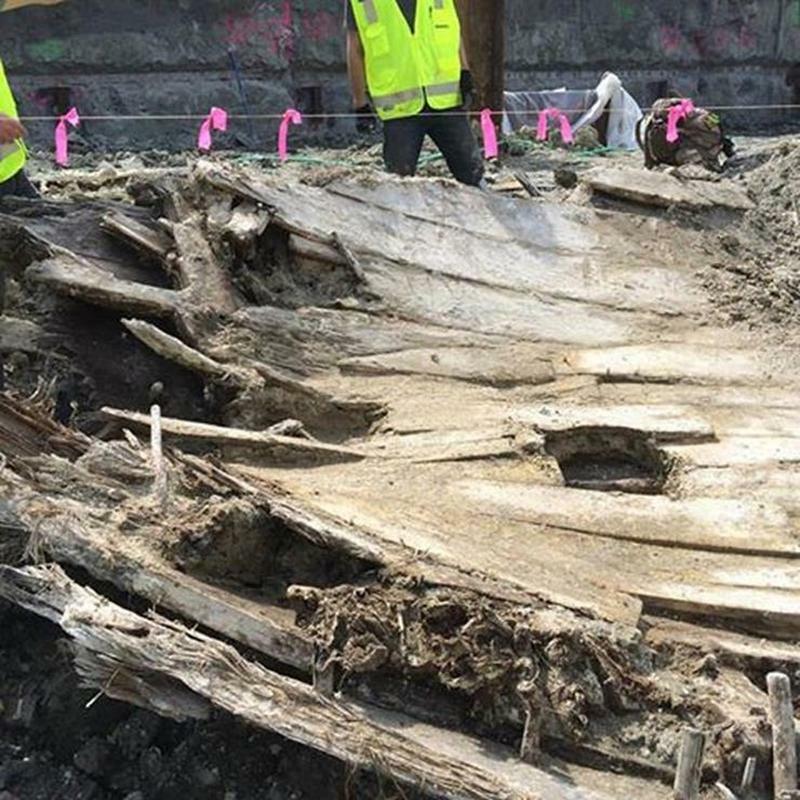 This uncovered vessel in Boston though is not actually the first, there are thought to be several more wrecks under the harbor. “To me what it says is that history is everywhere in Boston — sometimes we have to dig a little deeper to find it,” Bagley added to the reporters. However, the ship is the first one found in that part of the city, and only the second to have been discovered on dry land. With many thanks to Bagley and his team and also the generosity of Skanska, it has now been publicly documented for all. 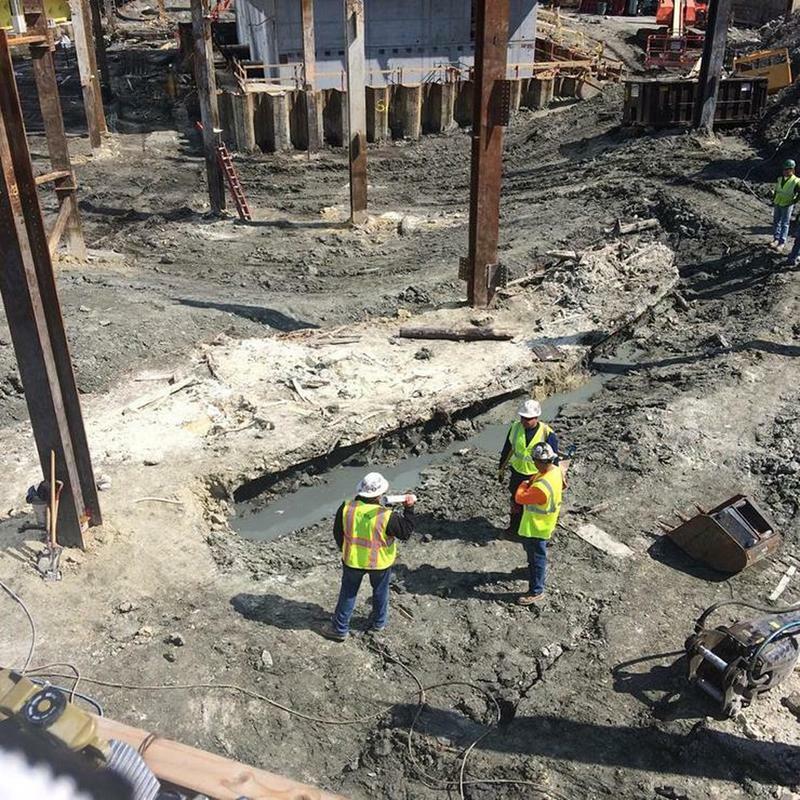 “We have essentially the entire blueprint of the ship,” he told Boston.com.